Yes, Sox fans you are reading that correctly. The win today with Carlos Rodon on the mound, to be honest I was kinda worried with him getting belted last time out. He is getting better and I would like to think that Chris talks with him after the his games to help him get better. Carlos Sanchez belted his second home run today, his first was in last nights game. Alexei Ramirez puts on a defensive clinic in this series, they have turned more double plays. The combination of Ramirez and Sanchez is ripping it up and I hope they can keep it going. Monday, we are in Boston for a Sox Drawer battle, has John Danks in the opener. Danks is 5 wins and 8 loses against Kelly with a record of 2 and 6. Jeff Samardzjia ( 7 – 5) mound office on Tuesday facing off against Miley with an even record of 8 wins and 8 loses. Wednesday’s Sox battle sees Jose Quintana coming off his first complete game with a record of 5 wins and 9 loses facing Porcello with a 5 wins – 10 loss record. The final pitchers for the closing game of the series have yet to be announced. The White Sox will close the month of July out in New York for a series with the Yankees. The Sox have been in one place I have always wanted to go. St.Louis to Bush Stadium, for a 2 game series with the Cardinals. The Cardinals are the best team with the best record in baseball now and I truly wondered if we would survive. It turned out to be the Chris Sale show, Let me explain this one. First, it was Chris’s 8th appearance in a row with 10 or more strike outs. It puts Chris second on the all time list. If he keeps pitching the way he is, I am secretly hoping that the can break the record. OK, second hit, being in a National League park the pitchers have to bat, Chris got his first official hit. I was glad to see that they pulled the ball for him to keep. Jose Abreu was up to bat and thanks to a wonky bounce off 2nd and went into center field. Chris was waved home. Thanks to a Tyler Flowers home run we took this game out. It was a real team effort today, Mother Nature kept throwing everything she had at this game but the boys would win and would do it big. 5th inning – Adam Eaton single would bring Flowers home for a 1 all game. 6th inning – Melky Cabrera would homer to right center for a 2 to 1 ball game and the Sox would not be denied from here on out. 9th inning – The fireworks would start with Flowers belting a homer to left center with Alexei Ramirez on the pond for a 4 to 1 lead, with the pond full, Abreu’s single to left brought Sanchez home LaRoche to 3rd and Eaton to 2nd. Melky would ground out but it allowed LaRoche to come home for a 6 to 1 Sox lead, the final score of the game, Eaton coming home on an error by the 3rd baseman for a 7 to 1 lead. Scott Carroll held his nerve in the bottom of the 9th to get Jose Quintana the win. The Sox are off to Baltimore for a series. *Injury Note – Dan Jennings has returned to the team from the Injury list. It is game one of a four game series with the Indians. Chris Sale against Corey Kluber. Last outing Kluber racked up a high of 18 strikeouts. *Bottom of the 3rd – Cannon on with a single up the middle, Avi with a walk, Conor with a walk loads the pond. Wild pitch brings Cannon home and its a 3 -2 ball game. *Top of 5th – With Sale struggling, a blooper to right, the Kitty’s take the lead back 4 – 3. 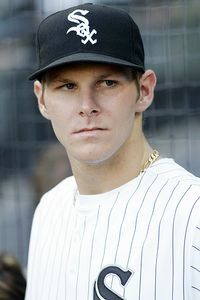 *Top of 6th – Chris Sale is off to the showers after loading the pond and Jake Petricka got the office keys from Robin. Lead off walk scores and its a 5 – 3 Kitty’s lead. *Bottom of 6th – Missile with a single and stolen base. *Top of 9th – David Robertson in the office to close this out. With an unbelievable play from Avi to Missile to Cannon they got the runner at first. Final Score Sox – 7 and Kitty’s 6. The cold weather of The Cell welcomes the Kansas City Royals for a 4 game series. *Bottom of the 3rd – Hell of a run by Johnson, KC missed tagging the bag and he was safe. Spanky walked moving Johnson to second. Can o corn to close the inning. *Bottom of the 4th – Cannon hit by a pitch, The Beard with a single, Avi with a single, they get the force at second. Gillaspie safe at first, Cannon got in a pickle but managed to keep it going long enough to get Avi to 3rd, Missile with a single to right gets Avi home for a 2 – 1 KC lead. *Bottom of the 5th – Melky on 2nd with a double, Cannon doubles and this game is tied at 2 apiece. *Bottom of the 7th – Bench clearing brawl. Zach Duke in the office getting the keys from Sale. Chris Sale and Jeff Samardzija along with 3 KC players ejected from the game. 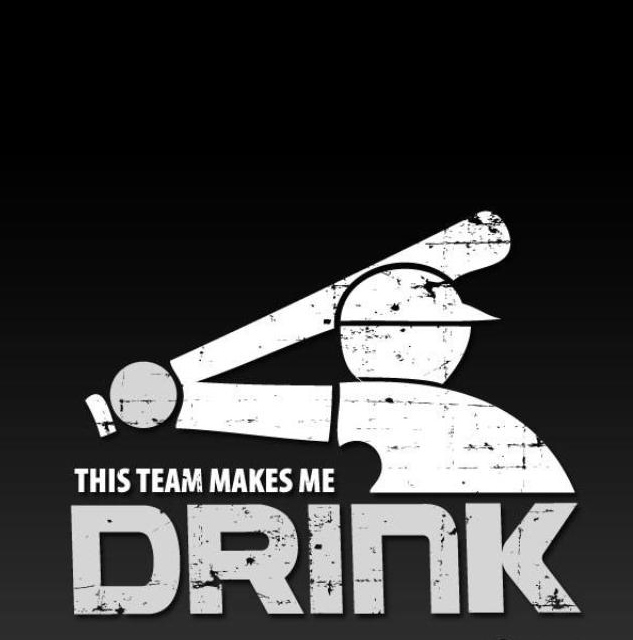 *Bottom of the 8th – Melky on with a walk, Cannon with a single moving Melky to 2nd. The Beard is safe at first, getting the force at second. *Top of the 9th – David Robertson in the office. *Bottom of 10th – Spanky on 2nd thanks to a wide throw. Cannon gifted a free pass to first base. The Beard was able to move the boys to 2nd and 3rd. *Bottom of the 11th – Gordon Beckham on with a free pass to 1st, who was thrown out trying to steal second. *Top of 12th – Jake Petricka now in the office. *Bottom of 12th – Bonifacio to pitch hit. *Top of 13th – speedster for KC crosses home for a 3 to 2 lead. *Bottom of 13th – Avi with a single, but was left stranded. It was one hell of a game. Go to bed and get warm. I wont be with you for tomorrow’s game as it is ANZAC Day here in Australia. The Aussie’s version of Memorial Day. After a close call yesterday the White Sox would send to the mound for game three their ace Chris Sale go up against Marcus Stroman for the Jays. With the disaster in the closer ranks yesterday it would be interesting to see what Robin Ventura would do to shake things up and hopefully take a win out. Joining Sale in on the pitching staff today was, Javy Guerra, Eric Surkamp in middle relief and Zach Putnam got the tap on the shoulder for closing duties. Adam Eaton returned to the line up after a much-needed rest day. He was joined by Gordon Beckham, Jose Abreu, Adam Dunn, Dayan Viciedo, Alejandro De Aza, Tyler Flowers and Leury Garcia at short stop giving Alexei Ramirez a break. The Blue Jays opened the scoring in the home half of the fourth when, Colby, Rasmus walked, Darin Mastroianni home run to center, would give then the lead at 2 – 0. The Sox would take the lead in the top of the seventh when, Abreu would get on base thanks to a double deep to center, Dunn was gifted a trip to first by way of a walk. 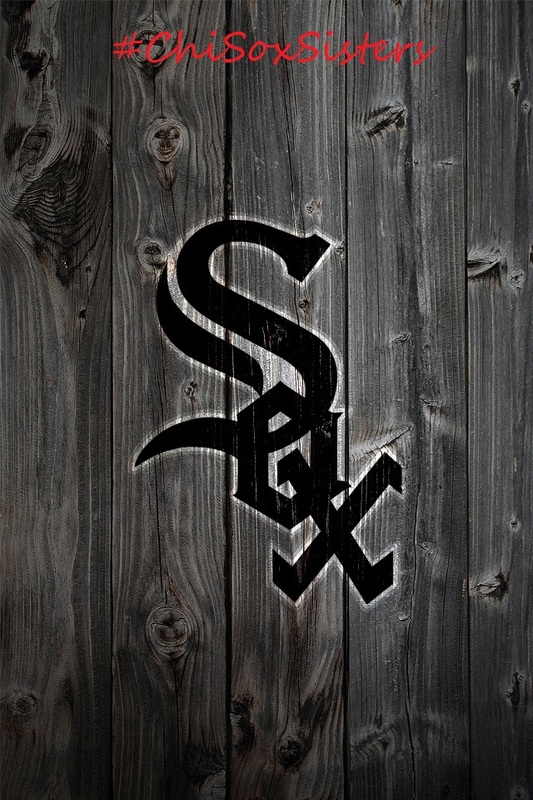 Viciedo would hit home run number eight for the season, giving the Sox a one run lead at 3 – 2 at the close of the inning. The top of the eighth inning would see the last of the scoring for the day when, with two outs Eaton would reach on an infield single. Beckham would get his own single moving Eaton to second, Ramirez would come in and bat for Conor Gillaspie, Ramirez single would bring Eaton home for a 4 – 2 lead, Abreu would close the inning grounding to short. The Jays to pull out a ninth inning victory but would only add one more run when, A.Gose would double to left, Munenori Kawasaki singled to center, getting Gose home to cut the Sox lead to 4 – 3. Edwin Encarnacion would ground into fielder’s choice to short, forcing Jose Reyes out at second to close the game. Final Score of the game White Sox 4 and the Jays – 3. The Sox have a 2 to 1 game lead in the series. Jose Quintana goes up against former Sox pitch Mark Buehrle. The White Sox welcomed the San Francisco Giants for a two game series on Tuesday and Wednesday this past week. Game one saw John Danks take the mound for the Sox, facing Matt Cain for the Giants. Also joining John on the pitching staff for this game was Javy Guerra, Zach Putnam, Daniel Webb. Joining Matt for the Giants was Yusmeiro Petit. The Giants would open the scoring in the top of the first with Hunter Pence hitting a home run to left center for a 1 -0 lead. The Giants would add another in the top of the third when, Gregor Blanco walked, Pence grounded into a fielder’s choice to third but was safe on base due to an error by Alexei Ramirez, Buster Posey would get Blanco home with a single to left and Pence was held at second. *Score at the close of the inning was 2 – 0 in favor or the Giants. The Sox tied things up in the bottom of the third inning when, with Adam Eaton already on base by way of a single to right and a safe steal to second, scored on a Gordon Beckham home run to center. *Score at the close of the inning was 2 apiece. The Sox added three in the bottom of the fourth, when Jose Abreu started things with a single, Ramirez reaching on his own single, moved Abreu to second, Dayan Viciedo’s single loaded the bases. Tyler Flowers walked bringing Abreu home for a 3 – 2 Sox lead. On a throwing error by the Giants short stop Brandon Crawford, both Ramirez and Viciedo were able to get across home plate to take the score in favor of the Sox 5 – 2. The last of the scoring came in the bottom of the fifth inning for the Sox when, Conor Gillaspie scored on an Adam Dunn single, Viciedo’s homer to left with Dunn on board brought the Sox lead to 8 to 2, which wound up being the final score. Would see Chris Sale face off against Tim Hudson. By the close of the fourth inning the Sox would have a 4 – 0 lead. The top of the fifth inning would see the Giants start to mound some offense when, Blanco singled to center, Pence also reached on a single to center. Posey’s single to center would get Blanco home. Pablo Sandoval sacrifice fly to center would get Pence home cutting the Sox lead in half 4 – 2. Dunn would add three more in the bottom of the fifth inning thanks to a home run to right with Gillaspie and Abreu already on the pond. Gillaspie and Abreu both reached on respective singles to right and center. *Score at the close of the inning 7 – 2 in favor of the Sox. The top of the ninth would see the Giants fall two runs short when, Sandvol doubled to right, Michael Morse singled to right. Tyler Colvin’s sacrifice fly to left would get Sandvol home but Adrianza would close the game with a fly out to center. The Sox head out on a road trip to Minnesota, Toronto, and Baltimore. The White sox were swept in their three game series with the Kansas City Royals. Danny Duffy was the brilliant on the mound for the Royals, Striking out 9 and only allowing one walk. The fourth inning is where K.C did the most damage scoring 5 run, when Billy Butler started things with a walk, Alex Gordon’s single to left moved Butler to second, Salvador Perez’s singled to center to load up the bases. Lorenzo Cain grounded into a fielder’s choice but Butler and Gordon scored on an error by third baseman Leury Garcia, which allowed Perez to wind up safe at third. Mike Moustakas singled to center, got Perez home and Cain to second. Norichika Aoki grounded into a double play which got Cain home for the fourth run of the inning. Omar Infante scored the final run when his single got Moustakas home for a 5 – 0 Royals lead. They would go on to add one run in the top of the eighth inning and finish scoring with three more in the top of the ninth. 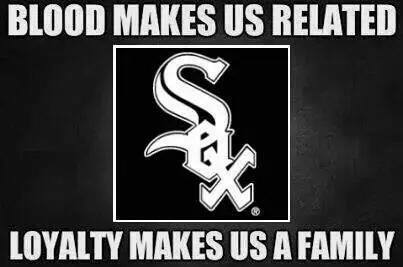 The only run the Sox could produce was a Paul Konerko home run in the top of the ninth. The top of the third saw Kansas City take the lead to 5 to 1 on a Perez homer to left, with Butler and Gordon already on the pond by way of Butler being hit by a pitch and Gordon walked. The fourth inning would see the rest of the runs scored when, at the top half, Jarrod Dyson singled to center, getting Moustakas home, taking the scored to 6 to 1 in the Royals favor. The Sox would only be able to add two more runs in the bottom of the same inning when, Alejandro De Aza would hit a double to deep right, which allowed both Adam Dunn and Alexei Ramirez to score. Dunn and Ramirez had both reached on singles. The Sox now have a much-needed day off before welcoming the San Francisco Giants for a two game series sending John Danks to the mound against Matt Cain for game one and Chris Sale for game two facing off against Tim Hudson.